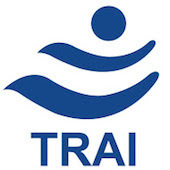 Online Application Details for Telecom Regulatory Authority of India TRAI Recruitment of 3 Joint Advisor and 3 Assistant is given below. Application form and duly attested documents are to be sent to Senior Research Officer (A&P), Telecom Regulatory Authority of India, Mahanagar Doorsanchar Bhawan, J.L. Nehru Marg, (Old Minto Road), next to Zakir Hussain College, New Delhi-110002. In envelope super scribed with 'Application for the Post of Post Name'.